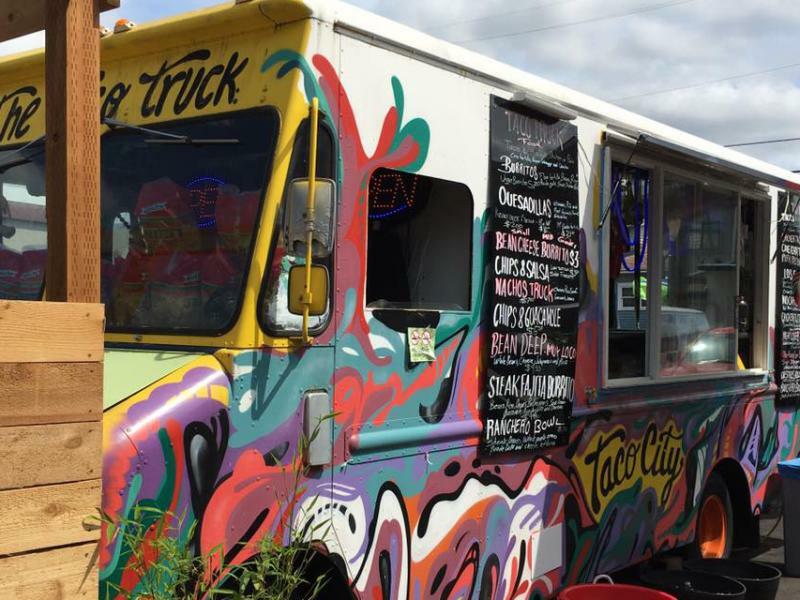 Permanently parked next to Trap Door Brewing in Uptown Village, you cannot miss the Taco City food truck. 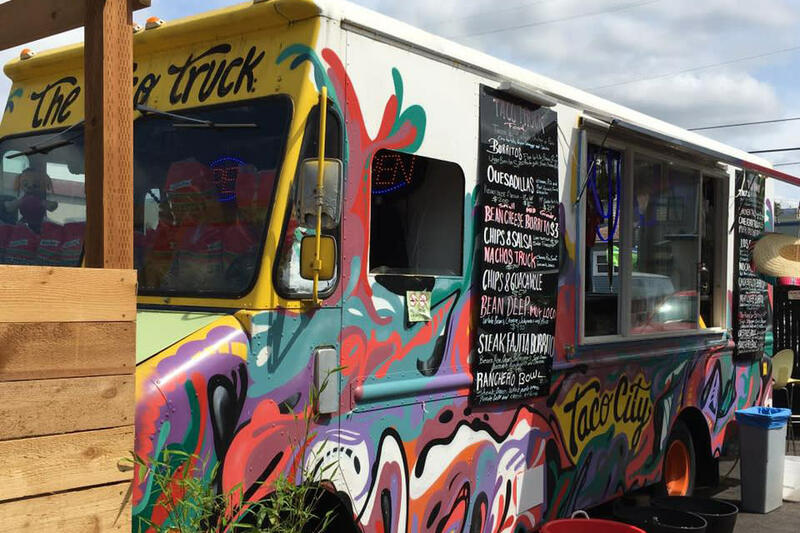 A visual fiesta, it's vibrant exterior and upbeat interior backs up the zesty tacos. Top it off with flavorful green tomatillo sauce!